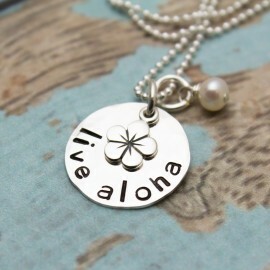 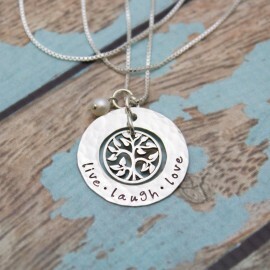 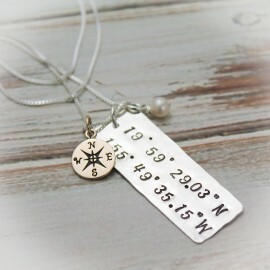 A beautiful minimalist necklace with a circle symbolizing eternal love. 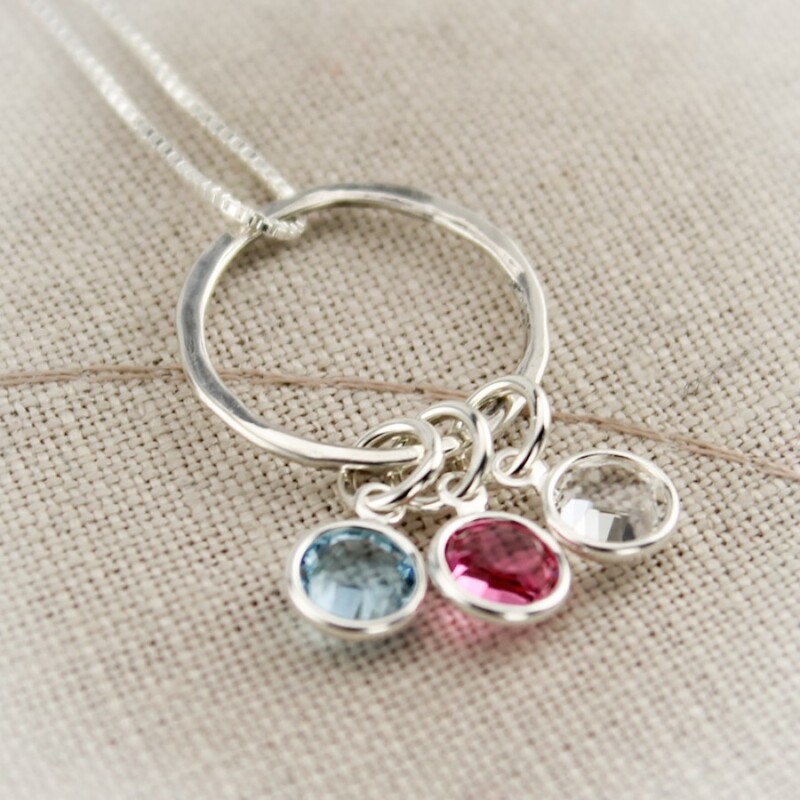 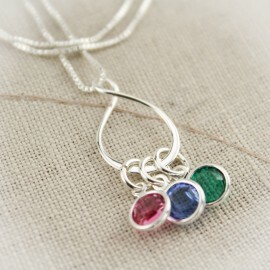 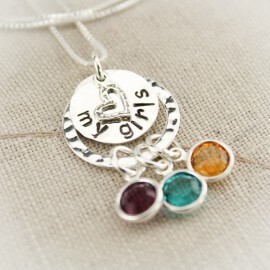 Swarovski birthstone crystals, representing each of your loved ones dangle from the circle. 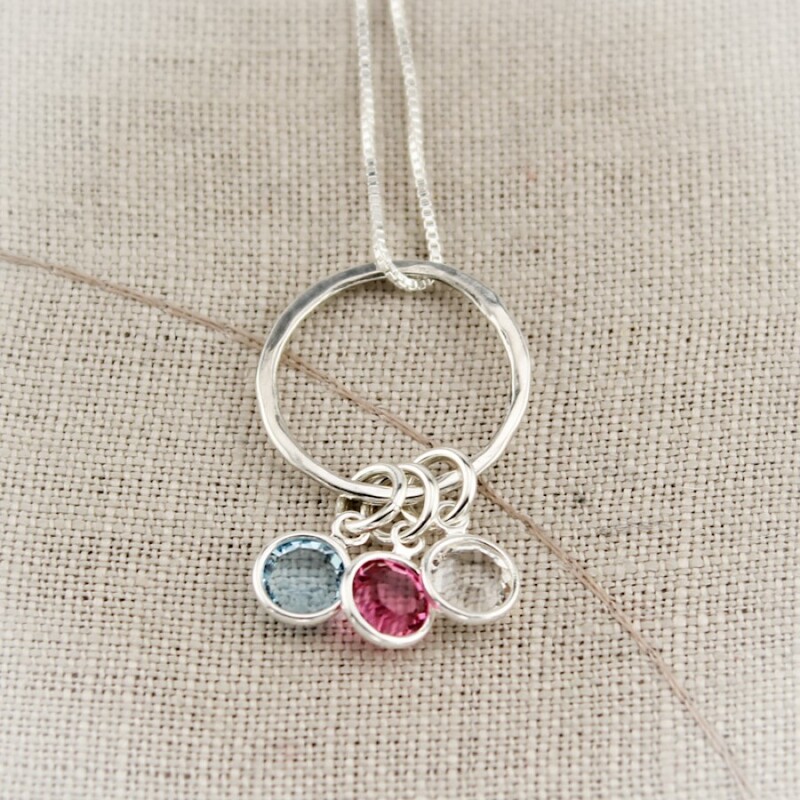 Ring is approximately 1" in diameter. 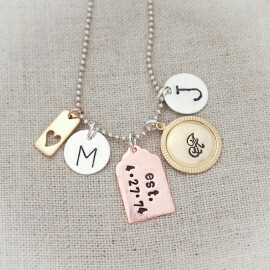 Price includes pendant and chain. 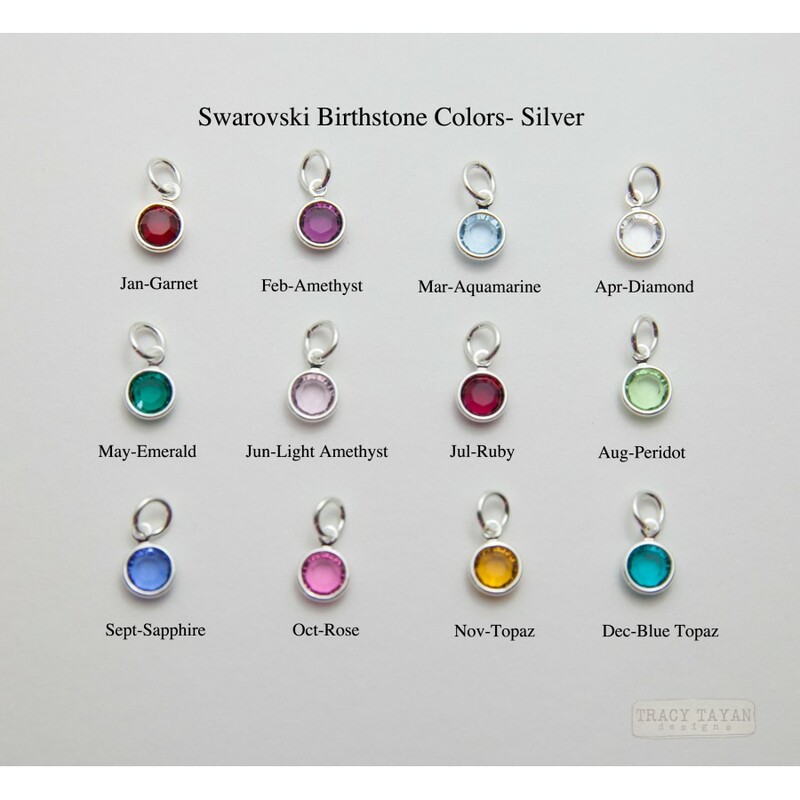 Birthstones are additional. 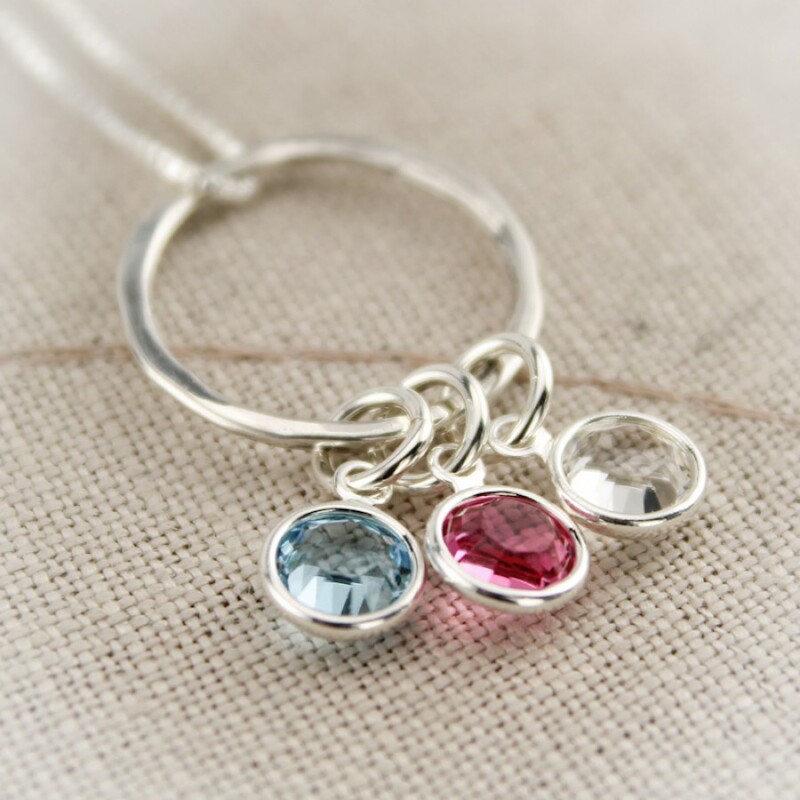 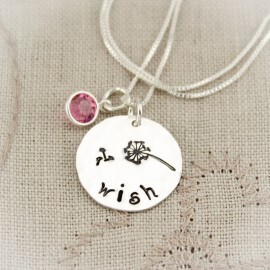 Birthstone charms are Swarovski crystals and are 6mm in diameter.